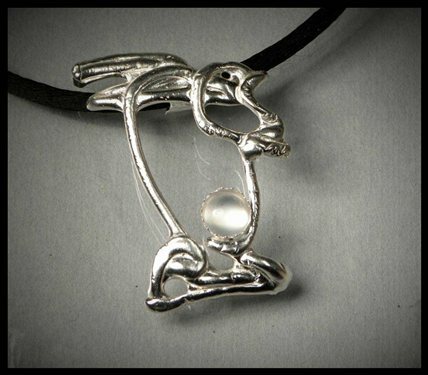 This was designed by dropping wax in water, then casting is sterlium plus sterling silver. The gem is a 6 mm rd moonstone. Different waxes and different temp water gives a wide range of designs. If anyone still want to see my sample waxes, just contact me and I will send them to you, Thank you.